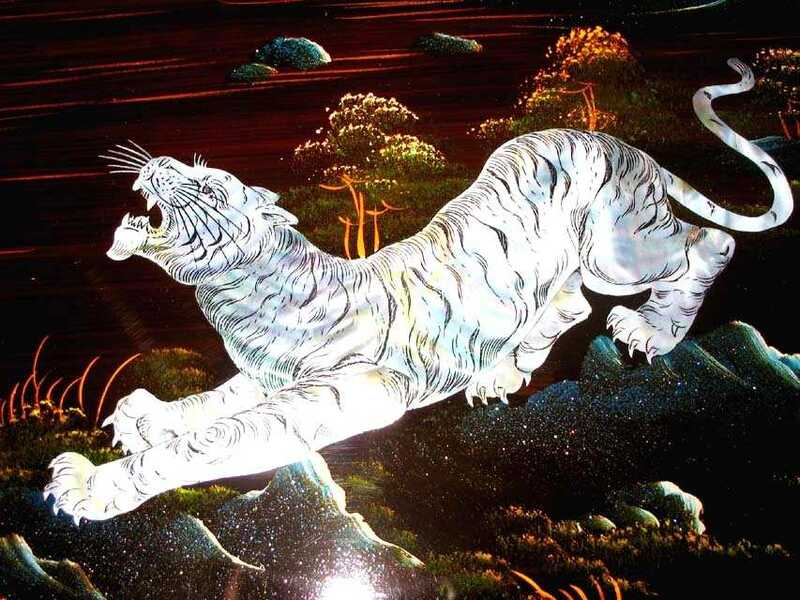 Beautiful lacquer painting with mother of pearl inlaid. 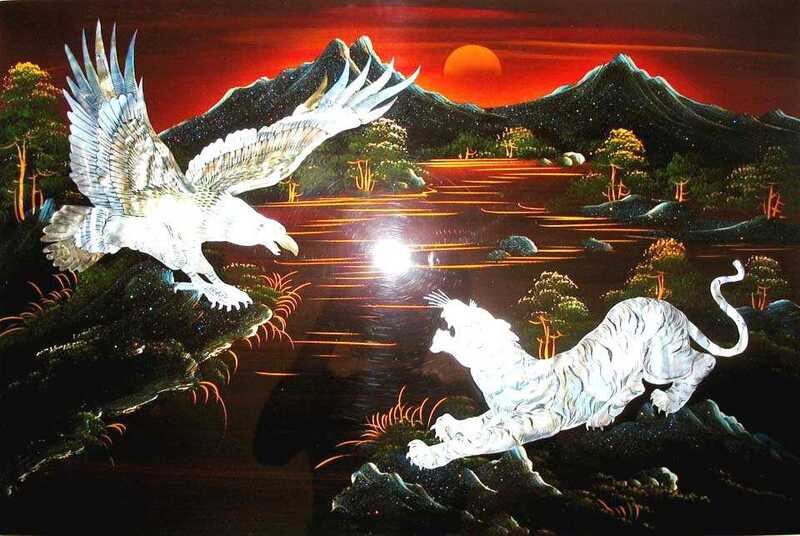 For vietnamese people, this painting is the symbol of the reunion of two super powers: eagle is the superpower on the sky, and tiger is the king on earth. 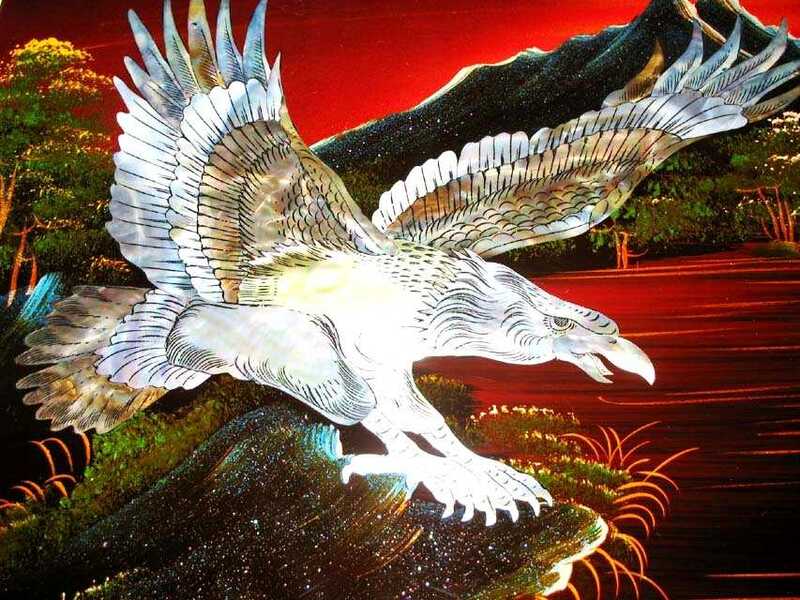 According to Feng Shui, this is a great painting full of energy and power. Sorry that the dark spot in the middle of the painting is just the light reflexion. The painting is in perfect condition.